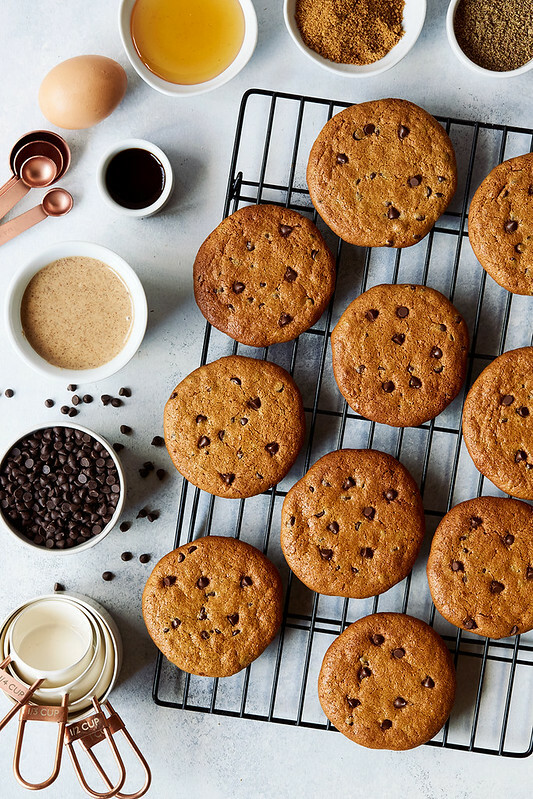 Paleo-friendly, dairy-free and gluten-free these Grain-free Almond Butter Chocolate Chip Cookies are a total breeze to whip up and you won’t believe how few ingredients they have. 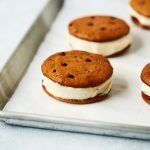 These cookies may look familiar to you, they are the star of my popular Grain-free Chocolate Chip Cookie Banana Ice Cream Sandwiches! But they are just way too solid on their own, that I felt they definitely deserved a dedicated post of their own here on TY. 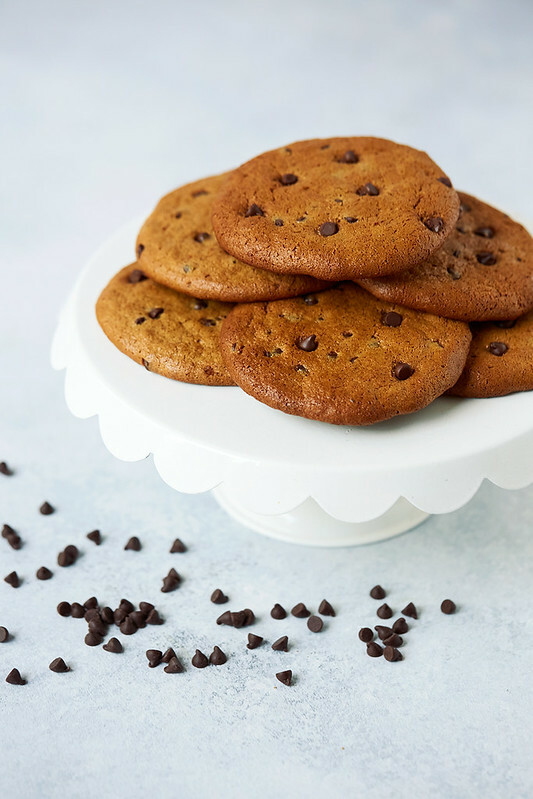 With just a few ingredients, these perfect cookies come together in just minutes and you’re left with chewy, soft chocolate chip cookies that contain no flours at all, no dairy, very little sweetener and consequently no worries about a massive blood sugar explosion to follow. 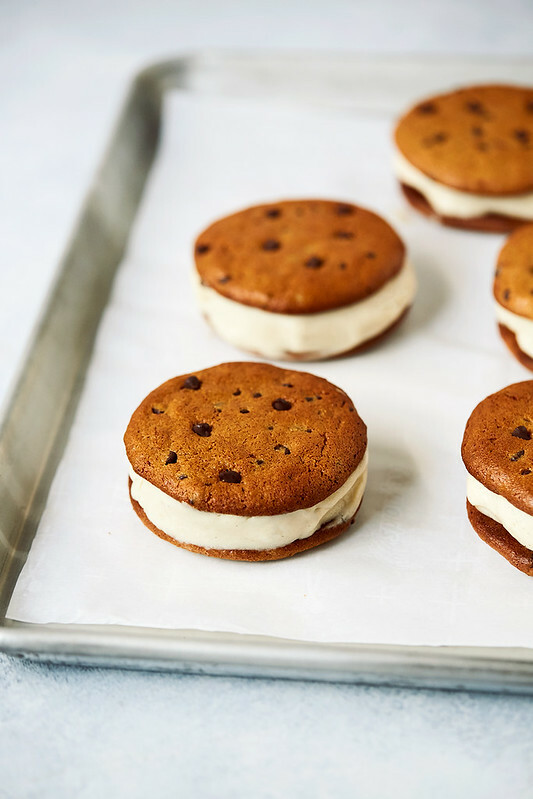 Preheat oven to 350º F. Line your baking sheets with parchment paper. 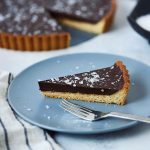 In a medium-sized mixing bowl, or the bowl of your standup mixer, add the almond butter, egg, coconut sugar, honey (or maple syrup), ground flaxseed, vanilla, baking soda and salt. Beat with a mixuer until smooth and creamy; approximately 2 to 3 minutes. You may have to stop it once or twice to scrape down the sides. Fold in the mini chocolate chips with a spatula. Drop rounded tablespoons of the dough onto the parchment paper lined baking sheet. 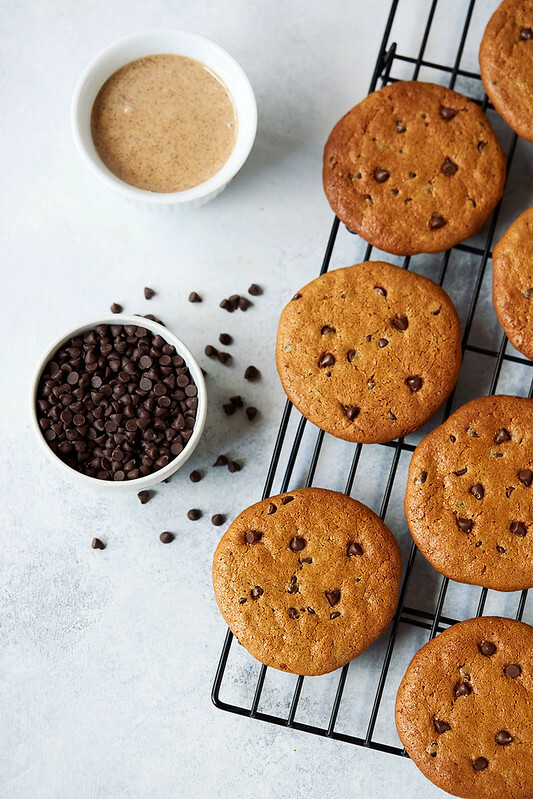 Bake for 10-12 minutes or until cookies turn a slight golden brown; they will be slightly puffy but they go down as they cool! 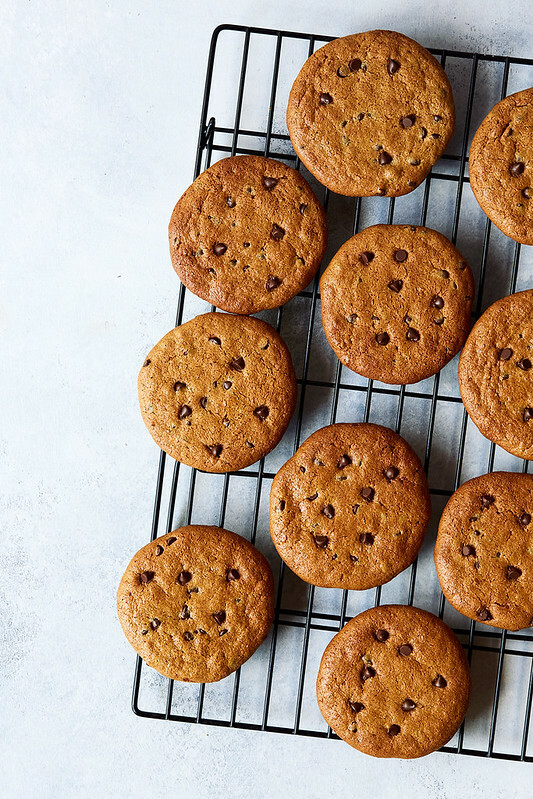 Cool the cookies right on the baking sheet for 10 minutes then transfer to a wire rack to cool completely. They are quite fragile when they first come out, so don’t rush moving them, give them the full 10 minutes. Repeat with any remaining dough. Makes 12-18 cookies, depending on the size you make your cookies. I find these store best in a sealed container in the refrigerator. 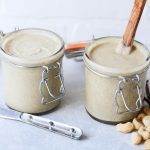 Recipe Notes: I haven’t yet tested this recipe with other nut or seed butters, I also haven’t tested with ground chia in place of flaxseed and I haven’t tested with egg replacer. Please feel free to experiment with any of these and report back and if I have the opportunity to do so on my end, I will update the post! 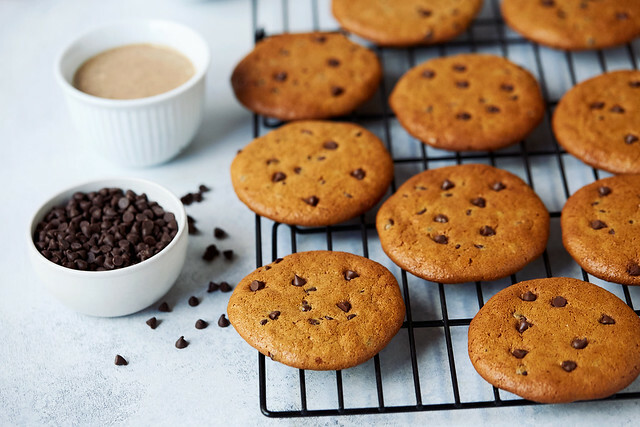 If you are looking for an egg-free, flax free, dairy-free cookie recipe, check out these Paleo Chocolate Chip Cookies. Just made these in a double batch since I had everything already. Best GF cookies I’ve tried so far! Pretty darn good for any cookie in my book. My son and I made the cookies and they are DELICIOUS!!! I feel good letting my son eat this healthy cookie. I made these a few days ago and my hubby ate 3 of them. He usually doesnt eat anything I bake. Today he asked me to bake him a batch just for him. 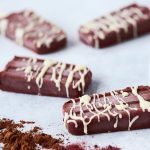 So I am making them again! SOOOO YUMMY!!!!! I even omitted the coconut sugar because I dont have any and they still turned out fantastic!